This site was started in 2003 with the purpose of sharing more information with my customers, family, friends, and acquaintances about the Watkins products I love and use and our income opportunity. What started out as a few simple pages sharing uses for our afordable, premium quality, natural products and a single page about joining as a Consultant has developed into a resource for people who wish to use safer, natural products for cleaning, cooking and baking at home with premium ingredients (real food), and for people wanting to learn more about starting a direct sales business with Watkins. My goal is to serve and assist others by focusing on providing exceptional customer service through a variety of chanels including this site. You can subscribe to my monthly newletters to hear about what’s on special each month, request a real paper catalog, try new recipes and get helpful tips for you life, find a Watkins Consultant near you and more. 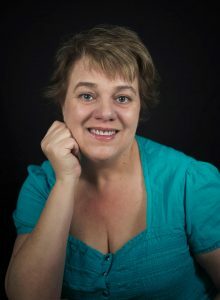 Allow me to introduce myself; I’m Melody Thacker, an Independent Consultant with Watkins, the owner, and author of this site. I’m the leader of the Watkins Gold Team, a wonderful team of Watkins Consultants located all across the United States and Canada. They are delightful folks, from all walks of life and I bet some of them are just like you! Many of the people who have joined my Watkins family have become very dear friends to me as well as business partners. I truly love this profession and am very proud to represent Watkins. I’m an ordinary woman, a wife, mother and grandmother with no special formal education. Just a strong belief in extraordinary things along with a simple love of learning new things and helping others. Using Watkins products has been a tradition in our family, my Mother used them, I use them and I’m pleased that it’s one that our grown children continue to carrying on. Yes, we really do use Watkins products in our homes every single day!! I joined Watkins in 2001 and it has made a huge difference in my life and the life of my family. I’m very proud to promote the wonderful natural products and be associated with a company that has an outstanding reputation for quality and business integrity. Our natural products help us live a natural lifestyle. My business allows me to earn the income I want and deserve, while always being available whenever my family needs me. Since starting my Watkins business I’ve met so many wonderful people, both my customers and my team members from all over North America. I’m not as shy as I used to be and my self-confidence has grown. I’ve earned a number of awards, consistently being in the top Consultants company-wide and received recognition from Watkins Inc. simply for doing something that I really enjoy. The icing on the cake is to be able to go on an all-expense paid holiday courtesy of Watkins! I’ve earned luxurious, all expense paid trips to San Diego, CA., a Carribean Cruise, Hawaii, Spain, Scottsdale, AZ, and St. Martin. I feel that Watkins really is a wonderful company to work with and am thankful for the opportunity. Watkins is a company with a rich history of firsts and is well known for making only the very finest quality, natural products and for exceptional business integrity. In 1868 a 28-year-old entrepreneur named J.R. Watkins founded the J.R. Watkins Medical Company in Plainview, Minnesota. This was the start of America’s first natural remedies companies where distributors, associates or consultants market directly to consumers, this is now called “Direct Sales.” Today Watkins manufactures over 300 products in beautiful Winona, Minnesota and distributes them from two distribution centers, one in Minnesota for our US friends and another in Ontario for our Canadian friends. Thousands of Watkins men and women, known as “Independent Consultants” operate their own business but there is a real need for more people to be representatives of our respected home business all across North America. 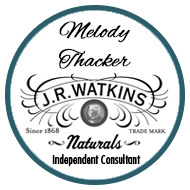 Learn more about the J.R. Watkins company and products on my corporate website, or go here to request your free Watkins full product catalog.